One of the downsides of being a remote team is that physical interaction doesn't happen unless you make a dedicated effort to get the team together. While we firmly believe that day-to-day work does not need to happen in person, we do believe that some things happen easier when in person. Because of that, we get the whole team together for a company retreat twice a year. We've now run 10 company retreats for team sizes of 7, 10, 14, 19, 27, 34, 45, 68, 95, and 185. Here's everything we've learned to pull them off. 1. Why Should You Run a Company Retreat? Big, full-company retreats are tough to coordinate and expensive, so why even bother? Ultimately: because some things are just better done in person. For instance, it's hard to have an impromptu, deep conversation with a teammate over Google Hangout about their kids, some random idea you've had improving a secondary process in the company, or company values. All those things tend to naturally happen in person, while they don't happen in a remote team unless you force it. Also, retreats are a ton of fun. Since you don't see everyone on a daily basis, it's exciting to have everyone around for a week-long excursion where you can talk shop and learn more about each other as people in an everyday setting. 2. Where Should You Hold Your Company Retreat? So far, we've had company retreats in California, Washington, Florida, Colorado, Alabama, Utah, Texas, Vancouver, Toronto, and Louisiana—and departmental retreats in other locations. Make it somewhere easy for folks to get to (that is, less than a two-hour drive from a major airport). Go somewhere that can hold everyone. When we were a smaller team of under 30 people, we were able to do AirBnB and HomeAway houses (hotels can feel sterile, but houses feel inviting.) As we've grown, we've had to broaden our search for places that could accommodate larger groups in one spot while also still providing that sense of privacy and closeness. Our People Ops team has done a great job scouting locations based on these criteria and others, such as our need for a large conference room, fast and reliable Wi-Fi (at least 100mbps up and down), and breakout rooms to work on projects together. Don't worry so much about being close to tons of activities. We used to think having a large city nearby would be important but then realized we rarely took advantage of the full city amenities. That said, do have some activities very near the retreat location. Beachside houses, resorts near hiking trails, or places with big games rooms (pool, ping pong, etc.) are great because people can entertain themselves in downtime without driving places. Ultimately, though, go with what suits your company. I know some companies travel overseas or some bring everyone into headquarters. 3. How Long Should Your Company Retreat Last? It depends. You need to be respectful of people's time. After some iteration, we've found four full days plus one optional "fun" free day, bookended by two travel days to be a good fit. People with family and kids aren't too inconvenienced, and it's long enough to do something meaningful. We have biannual retreats, one in the winter and one in the summer. Every year, the retreat weeks alternate to avoid these days always falling on someone's birthday or other family celebration. As you grow, another thing to consider is staggering travel days. We have the founding team plus international travelers come in a day early. This means customer support for Zapier isn't abysmal for one day while everyone is traveling, and we can prepare the location with food since we're there a bit early. 4. What Should You Do During Your Retreat? It can be easy to default to doing the things you always do on a day-to-day basis at work. But that would be a waste of an opportunity. We decided early on that we should do things during the week that we can't do together—even if it was at the expense of making progress on Zapier itself. After all, we work on the product every other day of the year. For one week it makes sense to take some time off and work on the team which is just as important as the product itself. Some of the best activities we do are mostly unrelated to work. We play party games, such as Mafia, have karaoke nights, and have hiked Mt. Rainer, skied, swam in the ocean, and visited the USS Alabama together. Doing something physical is a great way to learn more about each other, but we've also done food tours and even visited an old Texas ranch that's used as a movie set. We also spend time doing work-related things or discussing issues important to us. 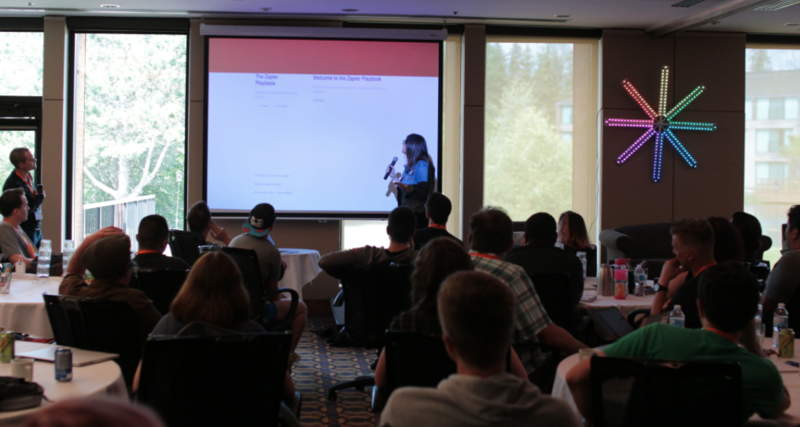 Before the retreat, all team members suggest projects for the hackathon that anyone at the company can work on. This project should be something that can be significantly developed, if not shipped, in three days. After the project suggestions are in, each department (e.g., support, marketing, product, engineering) votes on the top hackathon project the company should work on. From that list, each person in the company selects the top project they would like to work on (plus 2 alternatives) at the retreat. Hackathon teams are assigned based on this. During the retreat, each hackathon group works on their project over the course of 3 working days or afternoons. At the end of the week, each group presents what they built. Some examples of hackathon projects that have come out of our retreats are new features like Formatter by Zapier, a guide to using Zapier, and accessibility enhancements in our product. 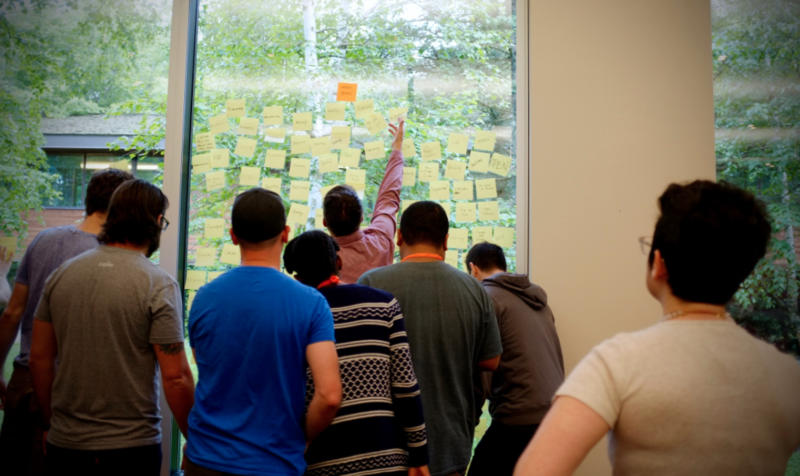 An unconference is a participant-driven meeting that lets attendees decide what gets discussed. 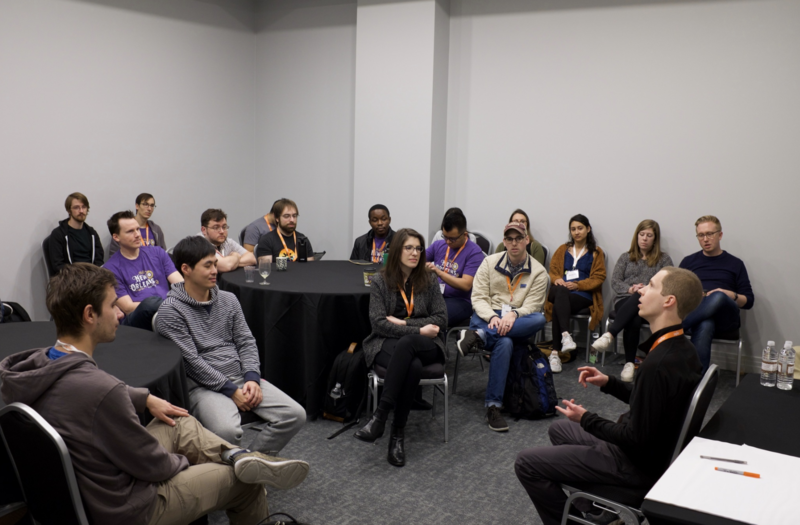 Rather than locking everyone into a set schedule and set topics, the unconference lets everyone decide what topics are important to talk about. It also lets everyone participate in the discussion instead of just one person or a panel of people. Even if a topic ends up with only a few interested people, it can still be really useful to everyone involved! Each unconference lasts 40 minutes, with one lead/facilitator and one note taker. At the unconference, participants are encouraged to share ideas in the conversation. 5. What About the Cost of the Retreats? Obviously, cost is a big consideration for doing a trip like this. Keep in mind, though, that a typical remote team saves tons of money each month by not having to pay for an office (or paying for a much smaller one than you'd normally have to have if you're a partially remote team). We decide to invest money we save on office-related expenses into company and department retreats because of the invaluable team-building these experiences provide. At the same time, we try to keep spending on retreats reasonable; keeping everyone happily employed is more important than sending everyone to luxury resorts overseas. Retreats aren't cheap, but what's even more expensive is having a remote team that doesn't work well together. Ultimately, the cost of the trip is well worth it in my mind, but you have to make that choice based on the constraints of your own business. If you're planning to keep doing retreats as you grow, then you'll want to make sure the retreats keep getting better. The way to do this is to ask for feedback. For example, the feedback we got from our first company retreat was that since we paired the trip with a conference, everyone spent a ton of time doing their own thing at the conference and by the time we all were able to regroup at the place in the evening everyone was really tired. So we decided not to do retreats alongside conferences again. What was awesome about the trip? Be as detailed as you'd like. What should we do differently the next time around? Be as detailed as you'd like. In retrospect, did you like the unconference structure? What was good? What could be improved? We had a handful of roundtables this retreat. What was good about these? What could be improved? How did your team day go? 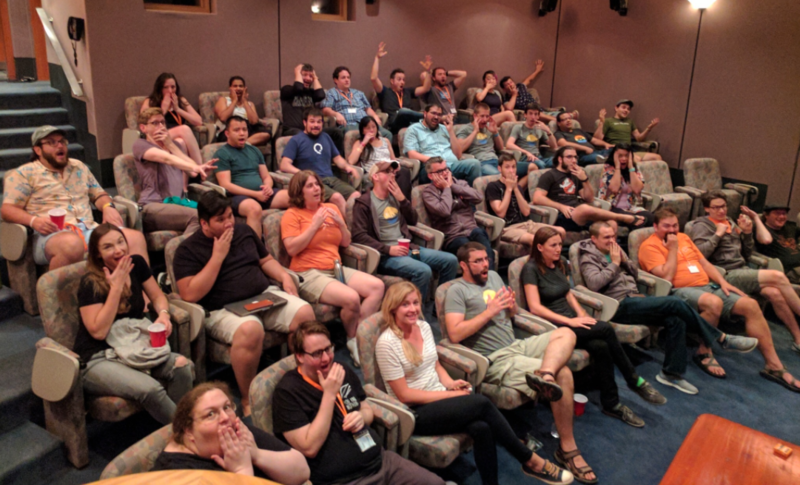 Based on feedback from our previous retreats, we've learned that teammates most enjoyed meeting and hanging out with everyone, having an entire venue to ourselves, lots of food options, and a range of roundtable topics. Doing a company-wide retreat is a big event, and our People Ops team spends a lot of time planning it—about a year in advance. But it's a lot of fun. If you run a remote team, I would highly encourage you to consider planning one for the next year. I think you'll find it well worth it, and your teammates will love your company even more for it. Curious what a remote team looks like in day-to-day action? In the next chapter, we'll peek at the Zapier team's home office setups and workspaces.